"Plaza Dental is an awesome place to get dental work done." "They are kind, attentive, and caring. I'm actually looking forward to going back!" Plaza Dental Group provides advanced, state-of-the-art oral health care to patients of all ages from communities throughout Ventura County. At the warm, welcoming office in Ventura, California, highly skilled dentists supported by a friendly, helpful staff can address your entire family’s dental needs. Whether it’s teeth whitening to boost your smile, Invisalign® to straighten your teeth, CEREC® technology for dental crowns, or the most cutting-edge implant dentistry available to fill gaps in your smile, Plaza Dental Group has you covered. The expert team of dentists knows that dental health is the gateway to each individual’s overall health. With that in mind, preventive care, catering to oral hygiene and developing good habits, is paramount at the practice. When it comes to personalized treatment plans, conservative, nonsurgical methods are always exhausted first. Patients are never conned into overpaying for complex, time-consuming dental work they don’t need. Plaza Dental Group is also extremely mindful of ensuring patient comfort and promoting sound environmental policies. It’s a paperless practice that doesn’t use metal products and uses X-ray technology that issues 90% less radiation than traditional in-office machinery. At Plaza Dental Group, patients are treated like family. To see for yourself what top-level dental care for you and your loved ones looks like, call the office, or schedule an appointment online today! Plaza Dental Group accepts most major insurance providers. If you do not see your insurance provider listed, please contact our office. Please bring your Photo ID and your Insurance information with you to your appointment. 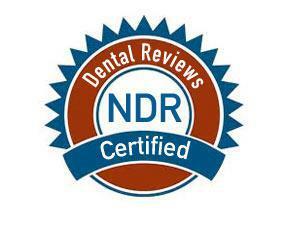 Check Out Our Reviews On National Dental Reviews!